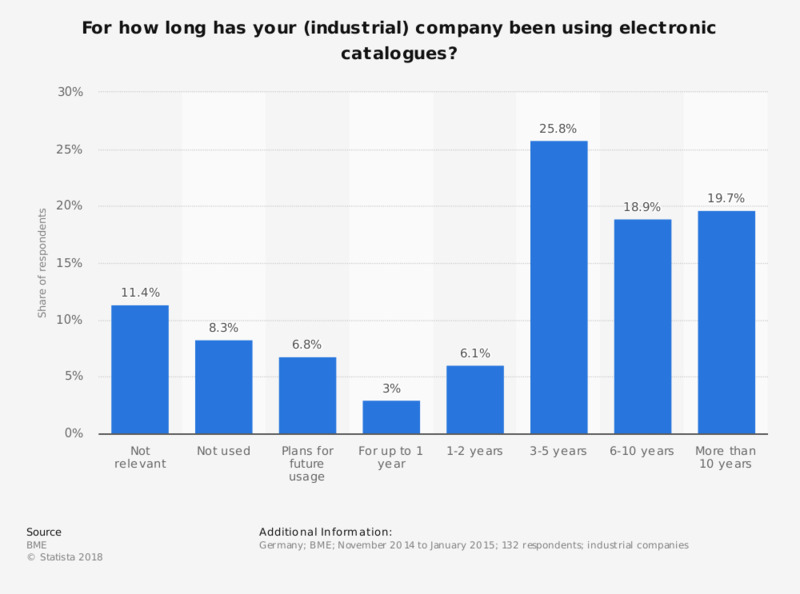 This statistic shows the results of a survey concerning the usage of electronic catalogues among companies active in the industrial sector in Germany in 2015. During the survey period it was found that 18.9 percent of responding companies had been using procurement systems based on electronic catalogues for six to ten years prior to the survey. Catalogue-based e-procurement systems consist of an electronic catalogue that provides an multi-medial digital overview of products and services offered by one or various suppliers and features a process-optimizing, mostly internet-based system for organizing orders. For how long has your company (SME) been using electronic catalogues? For how long has your (large) enterprise been using electronic catalogues?